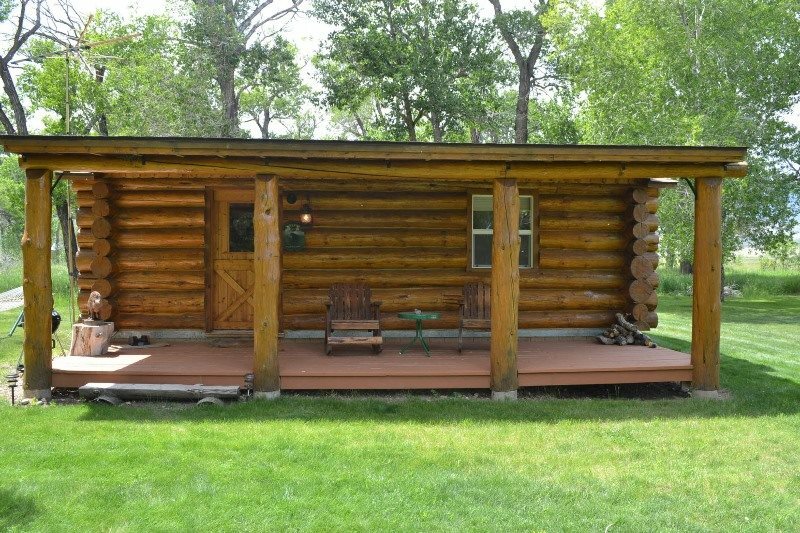 Step back in time to the old West at the Buffalo Ranch cabin! 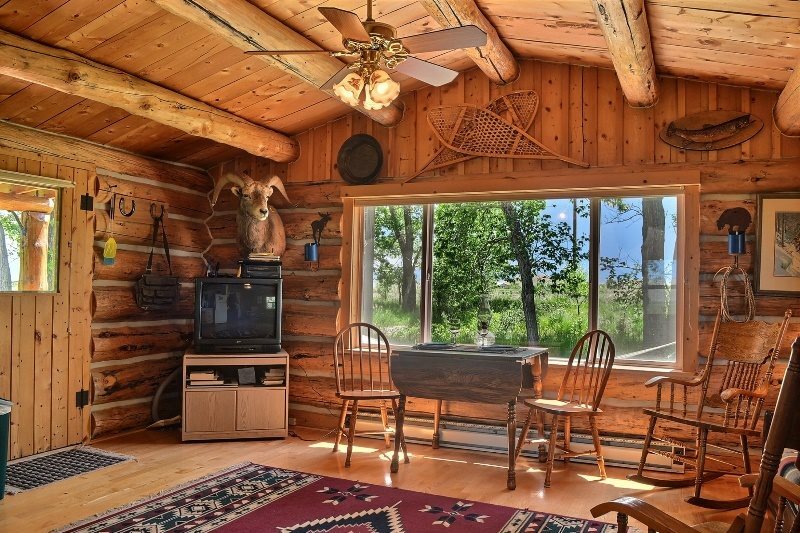 There’s plenty of fresh air and room to roam in this adorable, cozy log cabin. 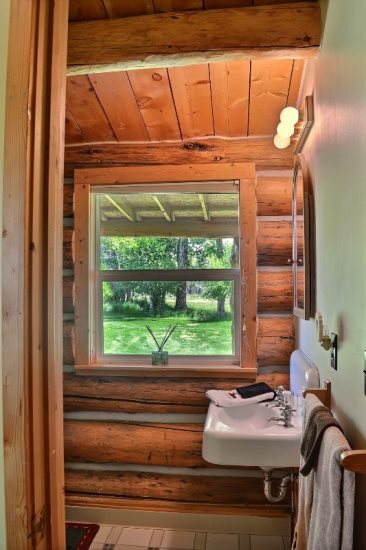 Built from logs gathered off the nearby Native American reservation, this vacation rental offers complete privacy with the comforts of home. 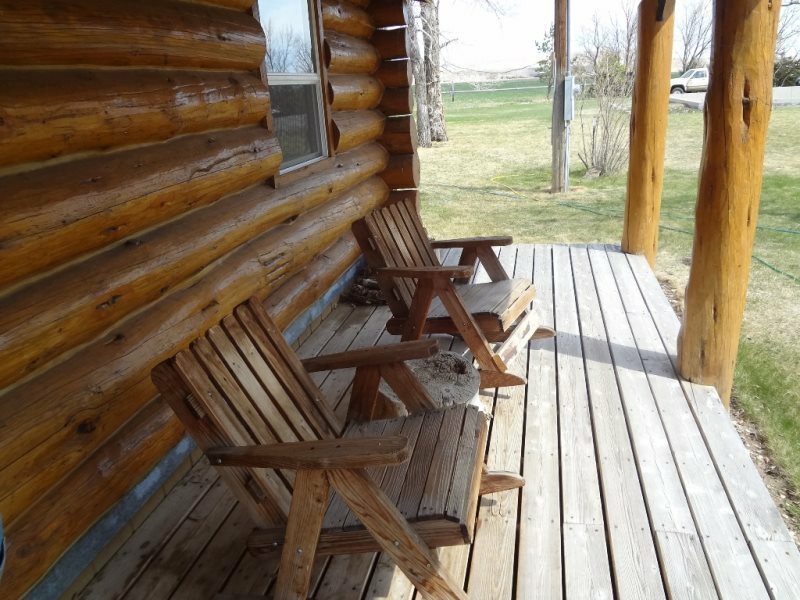 Morning coffee never tasted better then on the covered front porch as you take in the panoramic mountain views. Say hello to the “neighbors” (deer, antelope, wild turkeys and the occasional moose) as they make their daily visits to the property. 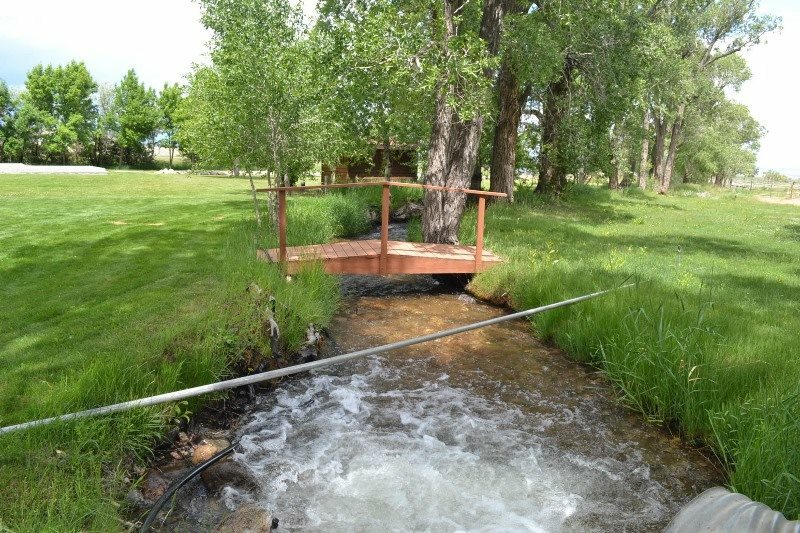 Guests are welcome to fish or take a dip in the natural “jacuzzi” in the clear water stream right outside the front door. Enjoy a relaxing evening under the stars in your own haven away from the hustle and bustle. Food always tastes better when prepared outside. 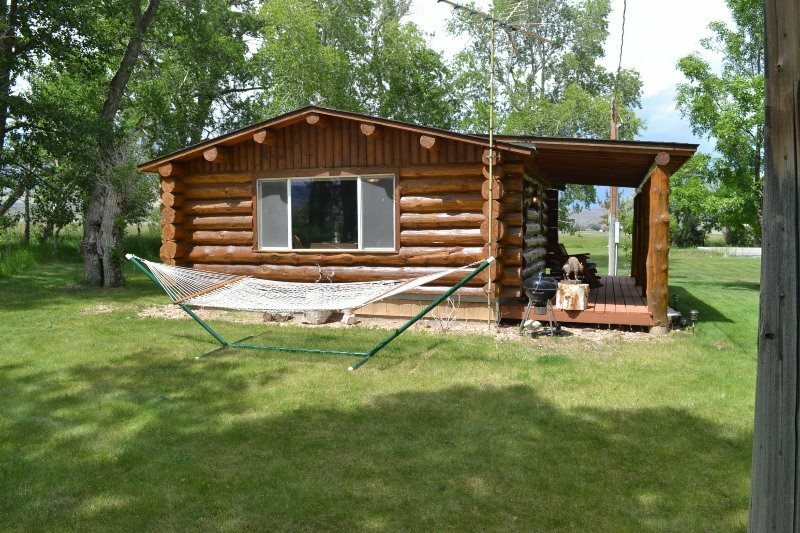 Light up the outdoor charcoal grill and savor the smells while you lounge carelessly on the hammock. 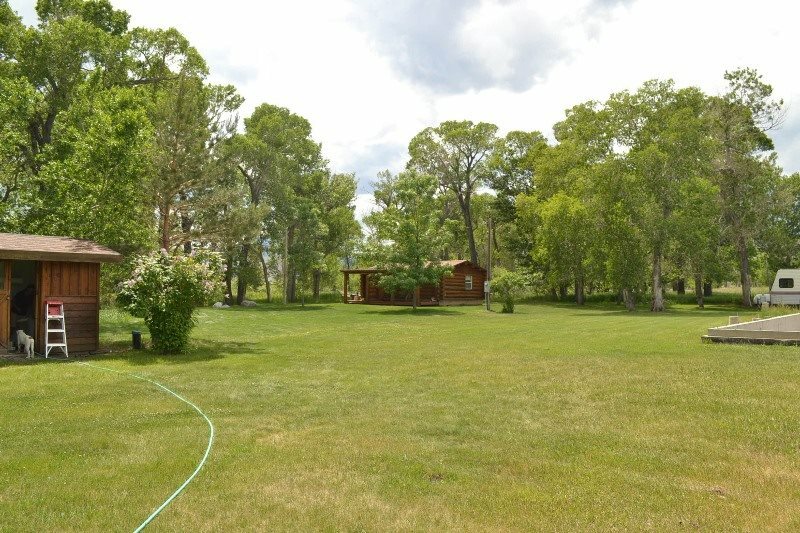 The grounds surrounding the cabin are lush, treed and musical! 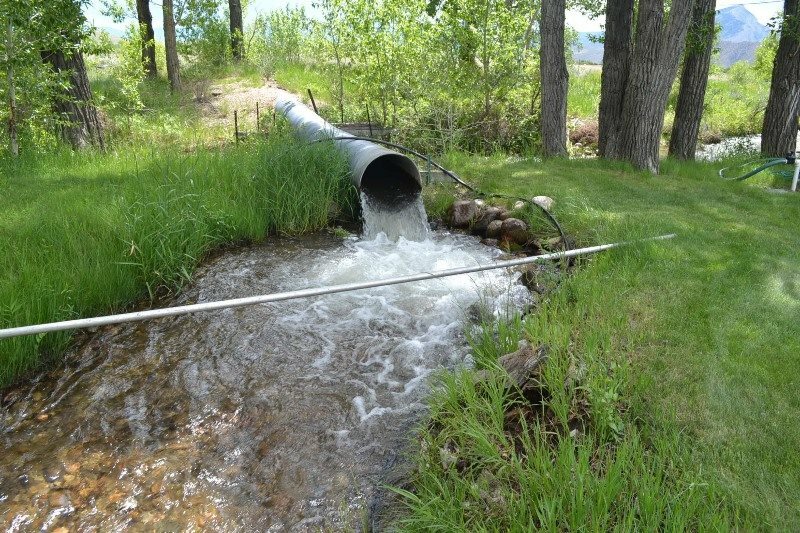 The flowing stream serenades you……… relax. 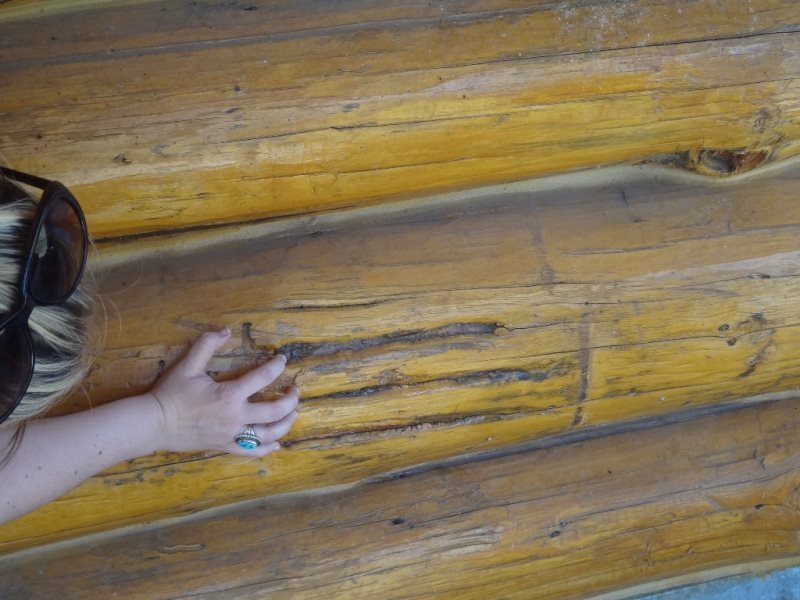 The cabin offers a remarkable conversation piece just as you walk onto the front porch—take a look at the large grizzly bear “scratch” in the log! 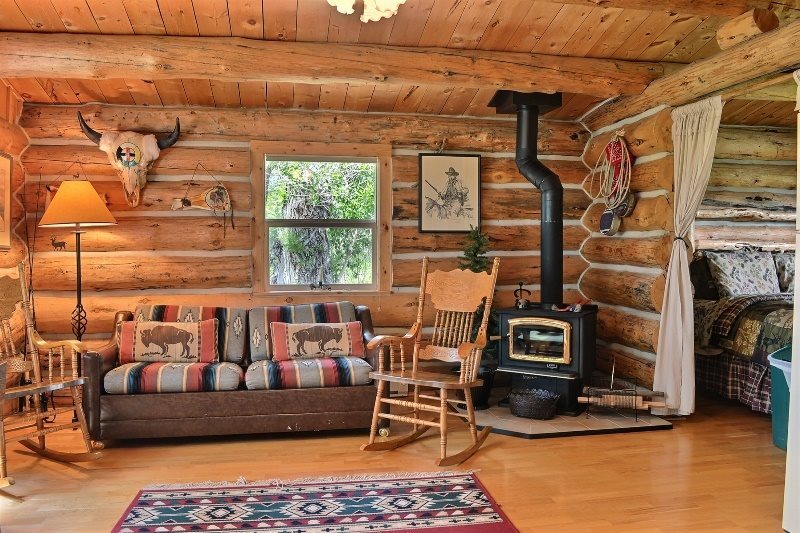 The log cabin ambiance is perfected with a cozy living room with a wood burning stove. There is a full sized sleeper bed nestled underneath the couch. 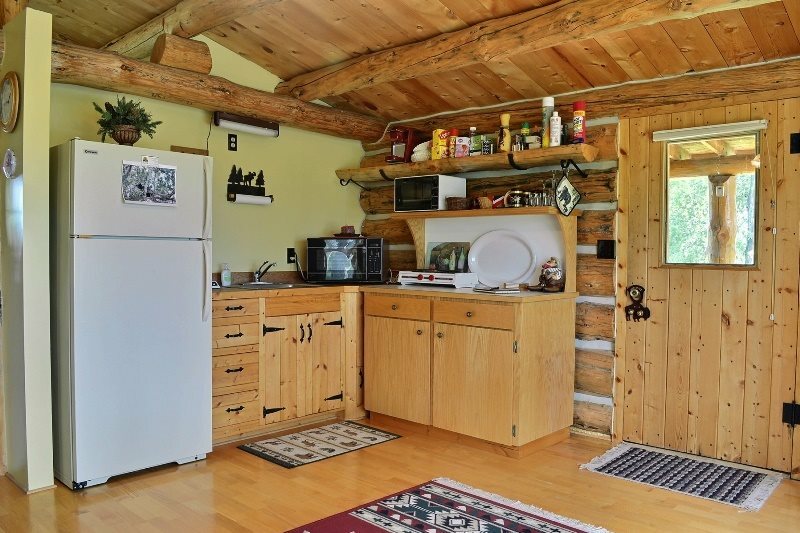 TV (DVD / VCR player), full size fridge, microwave, and a 2 burner hot plate (no stove or oven) completes the living area. 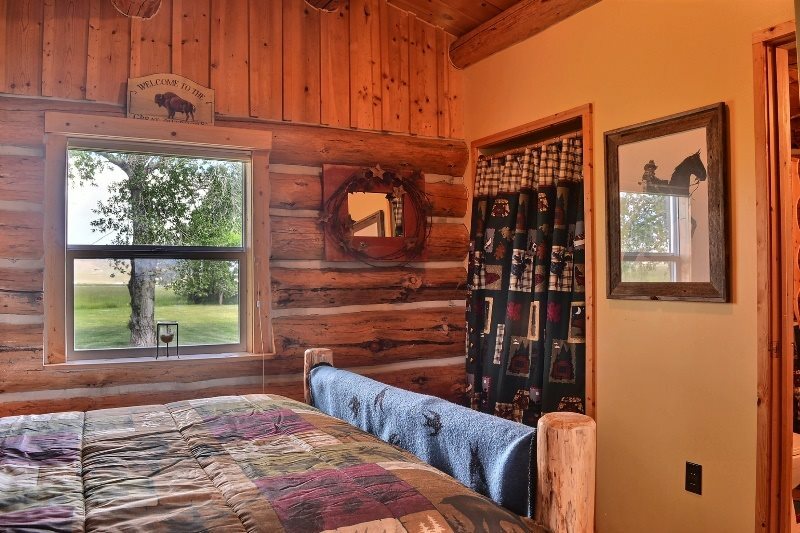 The one bedroom offers a queen-sized bed tastefully decorated with western décor. 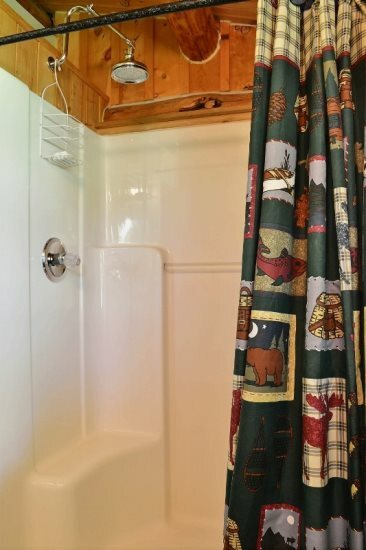 For you western history buffs – wash up in Buffalo Bill’s sink in the bathroom that came from his very own suite at the historic Irma hotel! 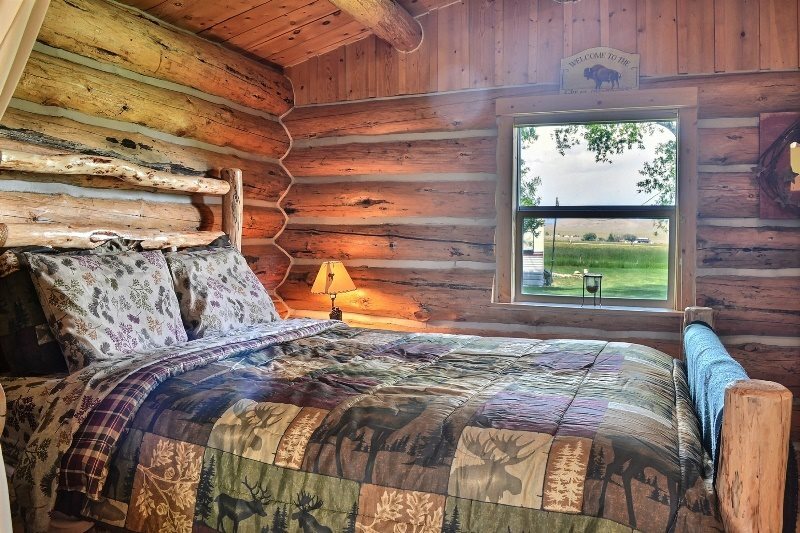 The vacation rental is situated on a working buffalo ranch where guests are encouraged to visit and see real live buffalo. 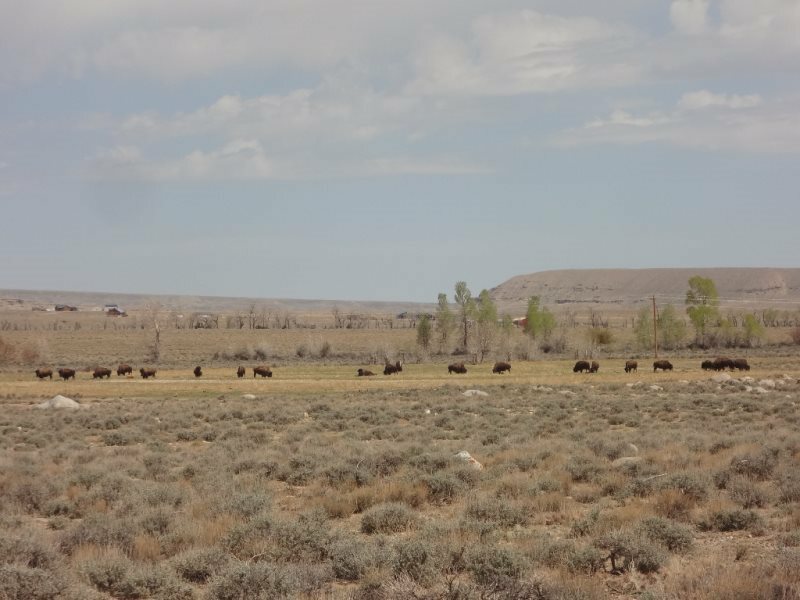 Buffalo meat is also for sale at the ranch, and guests with horses are welcome to stable at the ranch with owner approval. A fishing pond is available and it has been rumored that those 8 pound rainbow’s would like to toy with you! 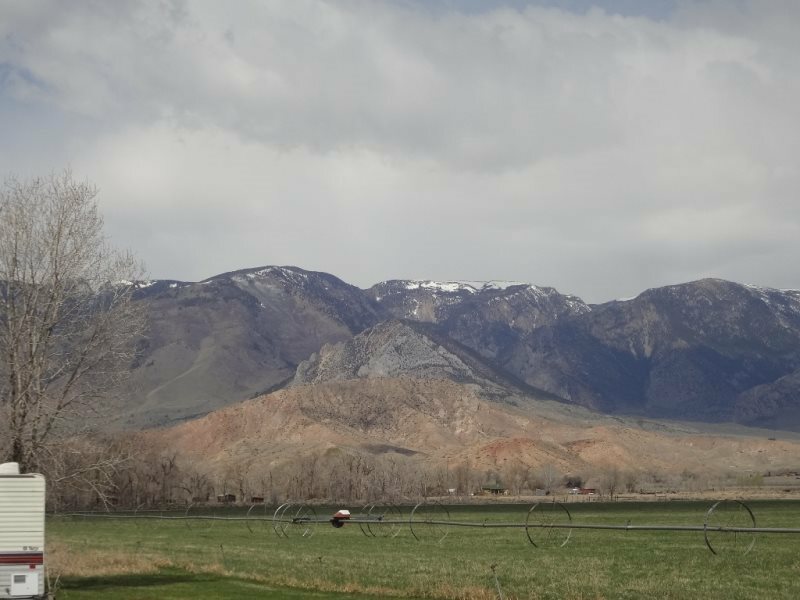 Just minutes away, is the Clark’s Fork River canyon where outdoor enthusiasts will enjoy a multitude of activities (hiking, motorcycle riders, mountain biking, rafting, horseback riding, ATV trails, fishing, and more!) Upon request the use of a raft is yours for summer fun. 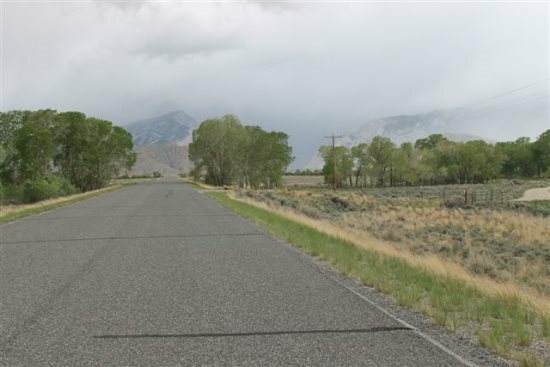 Bikers are encouraged to experience the "TOP OF THE WORLD" premiere ride, as well as Yellowstone, the Big Horns, and other local rides! 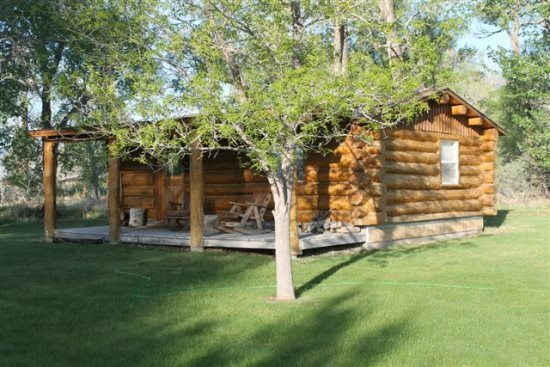 This property is well suited for single guests and couples, and will accommodate up to 2 smaller children that don't mind sleeping on the pull-out sofa or an air mattress.